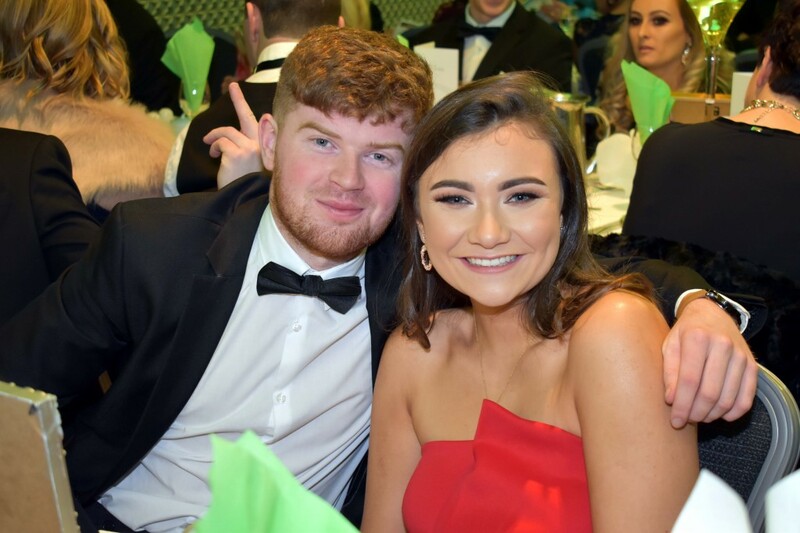 Muskerry News | Aoife crowned as overall sports star of 2018! Aoife crowned as overall sports star of 2018! Aoife Murray, Cloughdubh and Cork camogie player, was crowned the Muskerry GAA/Auld Triangle Overall Sports Star of 2018 at a Gala Dinner at Oriel House Hotel. An overflow attendance saw Aoife get the nod ahead of Sean Warren, Kilmurry, Conchuir O’Loinsigh, Beal Atha’n Ghaorthaigh, Mark Verling, Cloughdubh, Conor Cotter, Kilmichael, Darren Lucey, Donoughmore, Eimear Scally, Eire Og and Cork Ladies Football and Tadhg Corkery, Cill na Martra. The monthly winners were presented with Oriel Hotel Leisure Centre membership by Ronan Fahy, Hotel Manager. The Muskerry teams of the year were also announced. Cormac Quish of Quish’s SuperValu presented the awards to the Junior Football panel. The Junior Hurling panel awards were sponsored by Frank Walsh of O’Mahony Walsh Auctioneers and Insurance Brokers while a new edition this year saw an Intermediate Hurling panel being chosen thanks to the sponsorship of Barry Holland of Europumps. The Muskerry Board availed of the occasion to make a presentation to Diarmuid Kirwan, Eire Og, in recognition of his contribution to refereeing at national and local levels over many years.